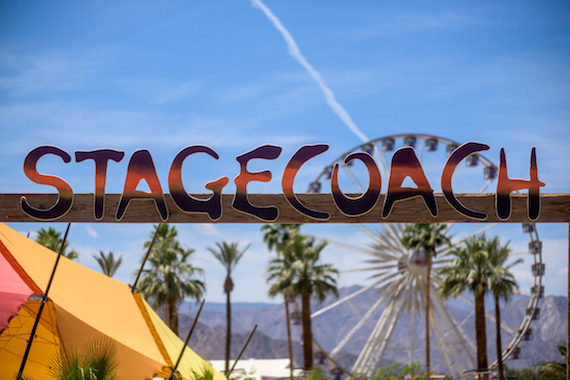 Eric Church, Carrie Underwood and Luke Bryan will headline the 10th annual Stagecoach Festival next year in Indio, California. The event will take place April 29 to May 1, 2016. Passes will go on sale Friday (Oct. 9). Church will headline the April 29 lineup, with Chris Young, Sam Hunt, Emmylou Harris, Eric Paslay, Marty Stuart and more also on the bill. Underwood will perform on April 30 following sets from The Band Perry, Dustin Lynch, John Fogerty, Chris Stapleton, Lee Ann Womack, Rodney Crowell and more. Bryan will conclude the festival on May 1, sharing the day with Little Big Town, Joe Nichols, The Doobie Brothers, A Thousand Horses, RaeLynn and Turnpike Troubadours, among others. General admission passes are $299. Corral reserved seating and corral standing pit passes are $899.